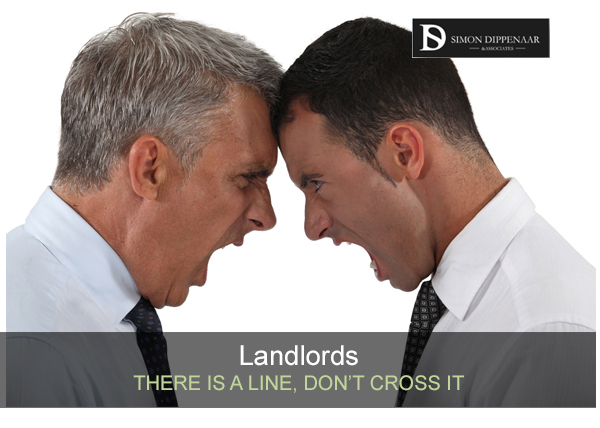 Tenants and landlords … why does the relationship turn acrimonious? Usually it’s because each party thinks the other is abusing the tenancy agreement. “My landlord never gets round to doing repairs.” “My tenant never pays the rent on time.” And so on. Both tenant and landlord have rights protected by law; and they both have a duty to act responsibly in upholding the lease. These rights and responsibilities are set out in the Rental Housing Act (1999). 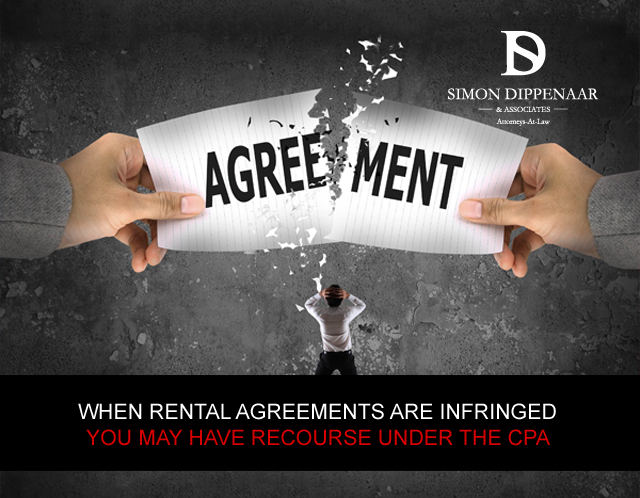 But did you know that the Consumer Protection Act (CPA) also applies to lease agreements? The landlord is considered the supplier and the tenant is deemed to be the consumer. So what does this mean for landlords? Section 14(2)(b) of the Act says that ‘despite any provision of the consumer agreement to the contrary – the supplier may cancel the agreement 20 business days after giving written notice to the consumer of a material failure by the consumer to comply with the agreement, unless the consumer has rectified the failure within that time.’ In effect, regardless of the terms of the lease surrounding the notice period, if a tenant is in breach of the rental agreement, the landlord has the right to cancel the contract. In other words, if the rent is not paid, or if other terms of the lease are contravened … for example the property is sublet without permission … the landlord can give the tenant 20 business days’ notice to quit. So far so good, but like all legislation it’s not quite that simple. Consumers, in this case tenants, also have the right to fair treatment under the law and this means that they are granted an opportunity to rectify the breach within the 20 business days they have been given. So as long as the tenant pays the outstanding rent or ceases to sublet the property (or whatever the infringement was) within the 20 days, the law considers the breach to have been rectified and the tenant’s right to occupy the property legally restored. Both of these provisions are pretty straightforward. So let’s consider a situation that is not quite so clear. What happens if a tenant is regularly and consistently in breach of the lease agreement but repeatedly rectifies the breach on, say, the 19th day of the 20-day period? Perhaps the rent is always paid just in time to avoid eviction, or the lease is infringed in myriad different ways each month but always put right at the last minute? What are the landlord’s rights in these circumstances? On this point the CPA is not specific, and has not yet been tested in case law. But at Simon Dippenaar & Associates we believe that a cycle of persistent and repeat violations which are then rectified does not constitute rectification at all. It is provocative behaviour, either deliberate or otherwise, and evidence of an unwillingness to comply in a reasonable manner with the lease agreement. In this situation landlords may be within their rights to give refractory tenants their marching orders. Every situation is different and it is impossible to give a hard and fast rule of thumb for cases like these. Housing legislation is complex. If you are unsure of how the Consumer Protection Act applies to you, either as tenant or landlord, contact Simon at sdippenaar@sdlaw.co.za to discuss your specific circumstances.